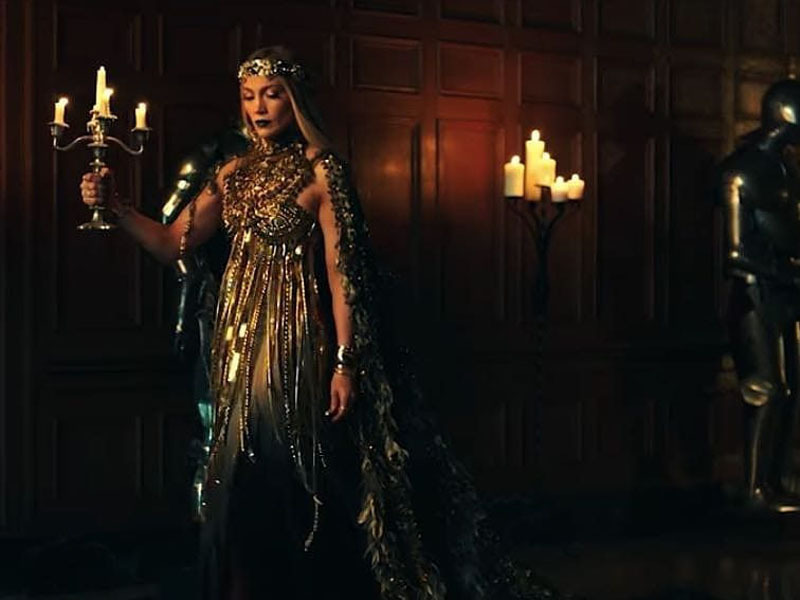 The American singer Jennifer Lopez teamed up with the Indian fashion design duo Abu Jani and Sandeep Khosla to create the look for her latest music video. Khosla Jani, the brand by Abu Jani and Sandeep Khosla who also run a couture house of the same name, have made waves on the international stage following a collaboration with singer Jenifer Lopez. The video for Lopez’s latest song features work by the designers and this is the first time they have worked with Lopez. The video is for a Spanish song called 'El Anillo' and Lopez wears a heavily embellished gold and olive green outfit by the brand. The look was styled by Rob Zangardi and features a large, decorative cape. Abu Jani Sandeep Khosla started working together in 1986 with no formal training or large investment. The brand has gone on to include several product lines including the Khosla Jani brand, Asal by Abu Sandeep, and AJSK Gulabo. As well as being sold across India’s metros, the brand has an international presence in boutiques such as Harrods and Harvey Nichols in London and Bergdorf Goodman and Neiman Marcus in New York.